The lesson is limited to 4 people. Class start times are 11:00 a.m., 12:30 p.m., 2:00 p.m, and 3:30 p.m. The start times are flexible. If you need to schedule a different time, please let us know. The tour is public. If you would like to book a private tour, please contact us. Please enter the address of your accommodation in Lanzarote into the booking form note field. If your address is not eligible for pickup, we will send you a meeting point. Be sure to bring a swimsuit, towel, sunscreen, and a smile. Previous paddleboarding experience is not necessary, but you should have a decent level of physical fitness. Coming to the Canary Islands and not spending time on the water is like going to Vatican City and not seeing the Sistine Chapel. 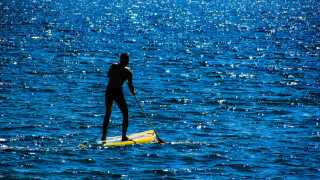 Explore the waters as you stand up paddle (SUP) on a guided tour of Lanzarote. 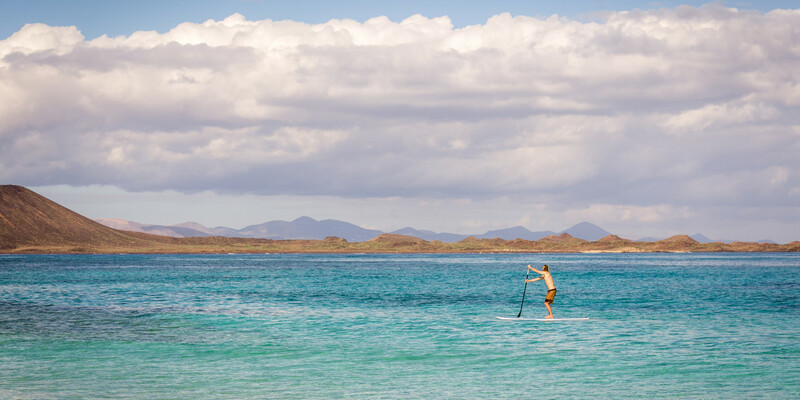 With growing popularity, SUP's perfect combination of sport and relaxation creates a memorable journey along the turquoise waters and rocky coastline. Your trip begins when your guide picks you up from your accommodation (depending on where you are) to take you to the beach. 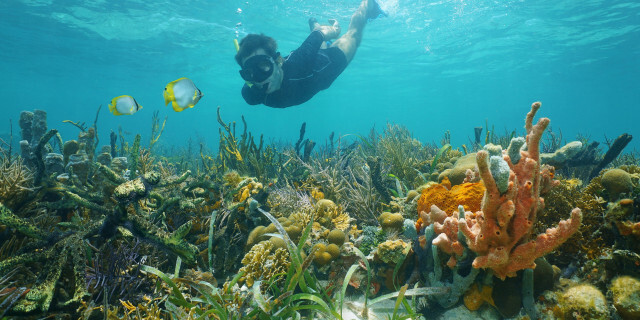 The guide decides the activity location based on the day's weather and the wave conditions. After a brief introduction on techniques and safety, you hop on your board and set off to the sea. The volcanic explosions in the past sent lava all over the island. Once cooled, this lava created rock formations all along the coast. Set against bright white sand, these black rocks create a beautiful spectacle when viewed from out on the water on your board. In small groups of maximum four people, your trip remains tailored to your ability. If you prefer to catch some surf or paddle more for fitness, just let your guide know. After a bit of paddling, a break on the sand allows for some lunch and a bit of relaxation. Take in the sun or dip into the clear waters for a swim. Once your arms are ready again, you head off again along the water. The entire tour runs for around two hours. 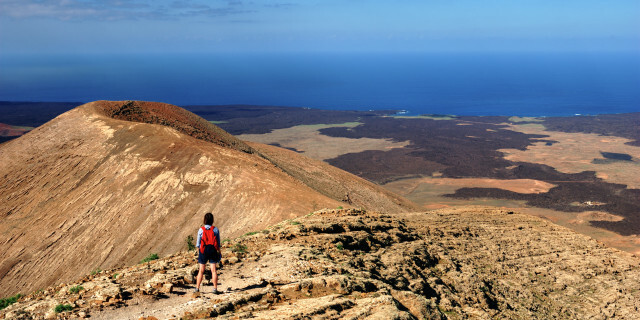 Whether you spend the whole time on the board peering out over the remarkable landscape or admiring the rich sea life below you, you’ll step off the board with a new feeling for Lanzarote. And, for certain, a new feeling in your arms.